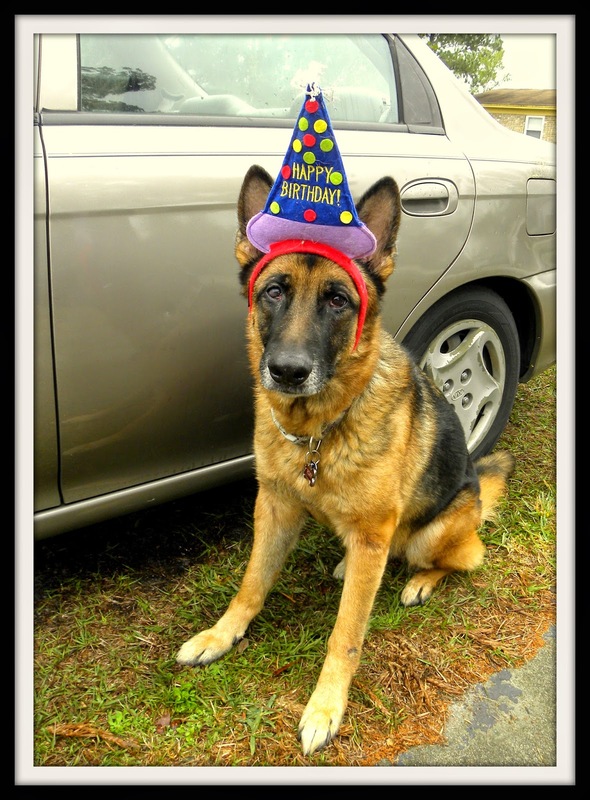 Kelley's Dog Blog: Happy Birthday Roxy!! Can you guess what she wants to do for her birthday? BTW, "Go for a ride" and "Take of this stupid hat" are both correct answers. Lucky girl -- all her birthday wishes were granted. * Truth is, we don't know Roxy's real birthdate. We arbitrarily picked today. She joined our family in February of 2007 and she was about two at the time. February 25th is Son #2's birthday, and we thought it would be great if she could share the date with her favorite person in the world. Do you celebrate your pets' birthdays? What special things do you do?